We absolutely love going to see theatre performances as a family. We have taken Ethan to see The Gruffalo, Room on the Broom, The Three Little Pigs and a few more. When Ivy was tiny I took them both to see Up and Down, but we haven't taken her to any shows since as she is quite active! So it seems completely fitting that her first proper shows will also be very active! 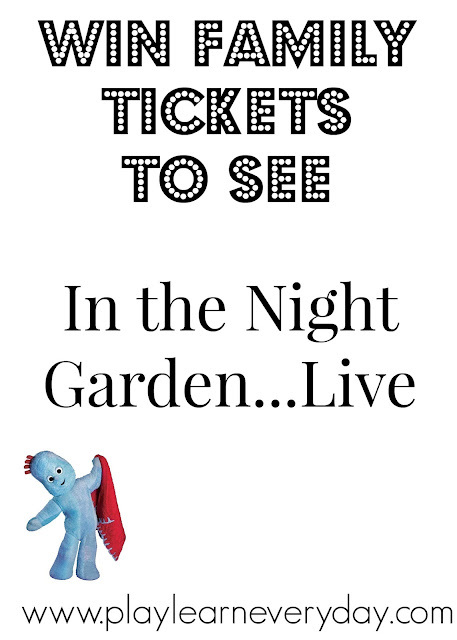 We are going to see Peppa Pig Live this weekend and In the Night Garden...Live in the summer. And we are lucky enough to be sharing the joy and giving away tickets to another family to see the show as well! Enter here to win a family ticket for 4 people to go and see In the Night Garden...Live in either London, Birmingham or Manchester this summer. It is definitely going to be a lot of fun for any little Iggle Piggle and Upsy Daisy fans and a great way of introducing children to live entertainment. 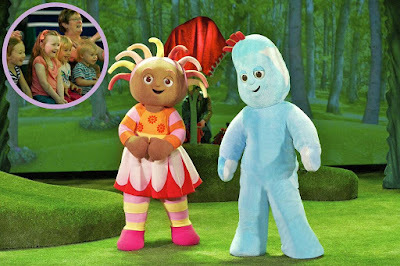 I just can't wait to see Ivy's little face light up when she sees them appear on the stage!